Small cars, fondly known as ‘superminis,’ are the most popular new vehicles in the UK. They take up more than a third of all new car sales in the UK and their popularity shows no signs of fading. These small cars are cheap, practical and efficient. New and exciting superminis arrived in dealerships across the country in 2012. But, which is the best small car in 2012? Not only are leading small cars economical, they are also fun to drive, easy to park and affordable to run. Let’s take a look at our pick of best small car in different categories to highlight the leading small cars of 2012, paying focus on superb design, style, space and equipment. Our pick of best car for performance is the Ford Fiesta. The Ford Fiesta ushers in a sharp, contemporary design that features a modern, well-built interior, superb equipment and low running costs. The Fiesta, particularly the Zetec S models, offers brilliant power performance bucked up by an Econetic diesel engine that delivers an incredible 87g/km of CO2 emissions and upwards of 85 miles per gallon (mpg) figures. 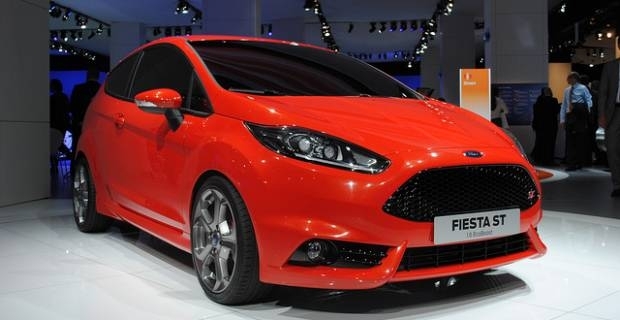 Ford Fiesta small car prices start from £9,795 to £16,795. The most comfortable small car for 2012 is the Volkswagen Polo. The Polo seems to have it all. It is good looking, spacious and attractively priced. It features highly effective suspensions that are built to absorb all bumps on the road and a high quality interior that is well-insulated to keep both tyre and wind noise out and guarantee a quiet, smooth and enjoyable ride. Volkswagen Polo prices start from around £10,420 to £16,640. Finally, our pick of best green small car in 2012 is the new Kia Rio. The Kia Rio excels at producing the lowest emissions and superb fuel economy. The CRDI 1 EcoDynamics Kia Rio model produces just 85g/km CO2 and is Britain’s lowest carbon dioxide emitting car. This green car, however, offers much more than just low running costs and emissions. It also drives well, has a spacious interior and comes with a seven year warranty. The Kia Rio models sell at between £9,995 and £14,895.